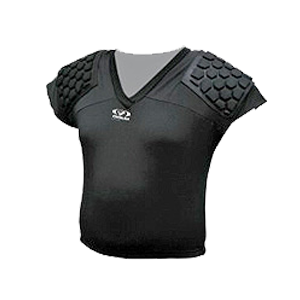 National Sports is a leading manufacturer and exporter of a variety rugby field accessories like Reversible Tackle Suit, Rugby Head Guard, Rugby Chest Guard, Full Body Armor, Shoulder Guard, Pole Cover Standard etc., which are as per the international standards. 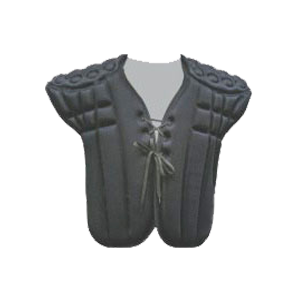 Manufactured from top quality no tear and water resistant nylon.Double stitched for more strength.Made of high quality foam for pact absorbing.Available in small, medium, large and extra large size. 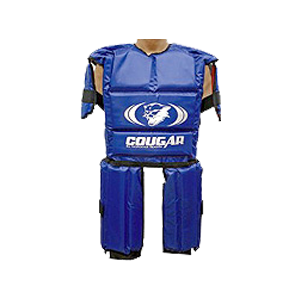 Gives extreme protection across the shoulder, Chest, Spine & Kidney.Made of Light weight Eva Foam & Lycra Covering. 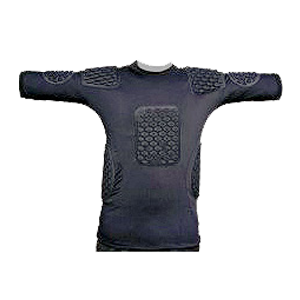 Made of top quality Breathable fabric.Offers protection across the shoulder, Chest, Spine & Kidney.Sizes Available S, M, L & XL. 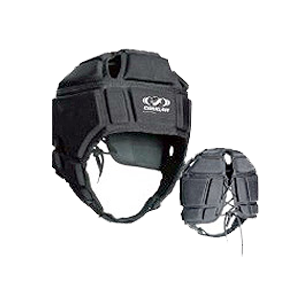 Lightweight Head Guard offers 10mm thick protection.Fully adjustable chin straps.Sizes Available S, M, L & XL. Designed to support & protect the shoulder. Size available S, M, L & XL. Made of heavy duty nylon covered with foam.Velcro straps wrap fully around cover to secure against post.Size: 72" x 18" x 2".